Keyword analytics is a science, which takes an effective research lab. We keep improving our Keyword Magic tool functionality according to your feedback. And here’s what we've prepared for you this time. 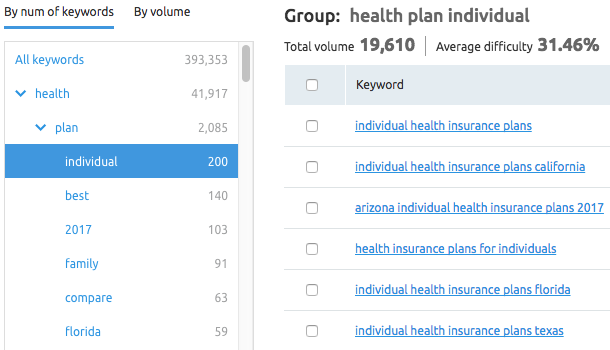 First of all, the keyword groups have become more handy to work with. 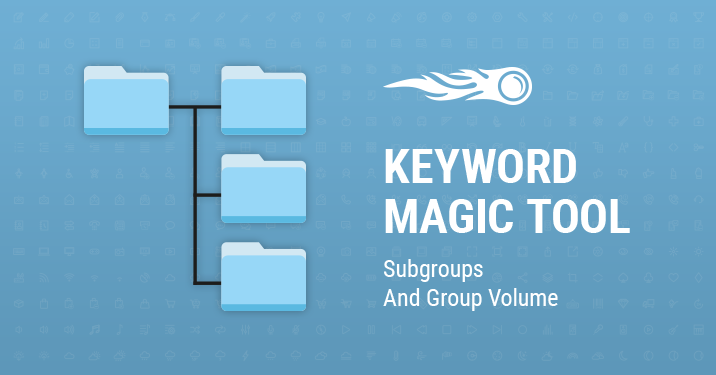 Starting now, we create subgroups inside these groups, which will allow you to find long-tail keywords and perform your keyword research even more thoroughly and successfully. There are three group levels available currently. Previously, we only showed the number of keywords for each group only. But we know that it’s certainly important to be able to estimate the quality of a group in order to decide if you need it. Opening groups one by one would be a waste of time. That’s why we have added the Volume parameter for deeper and more precise analysis. You can easily switch between number of keywords and volume.